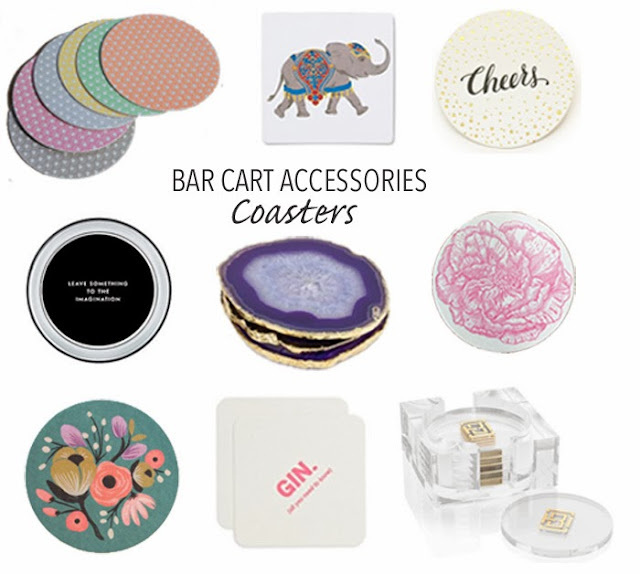 There are a lot of elements to consider when designing a bar cart. I thought we'd start with coasters, being that they are useful whether or not you actually have a bar cart in your home. Below are some of my favorites available now. Also, a set of these would also make a great hostess gift! Middle Row: "Leave something to the imagination" and other quotes, Kate Spade, Purple & Gold Agate, Jonathan Adler | Dark Pink Rose, Sesame Letterpress (I picked up a set of these at their recent sample sale, they are lovely).